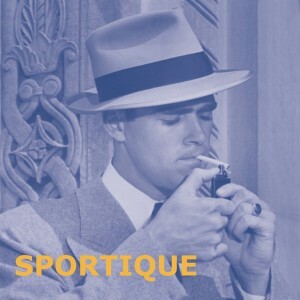 Sportique - Don't Believe A Word I Say 7"
Exclusive new single from Oxford, England four-piece featuring legendary pop stars Gregory Webster (Razorcuts, the Carousel, Saturn V), Rob Pursey (Marine Research, Heavenly), Mark Flunder (TV Personalities, McTells), and Amelia Fletcher (Marine Research, Heavenly, Talulah Gosh). The superb title track, previewed during a John Peel session last September, features shimmering guitars and keyboards, handclaps, and nice female harmonies. New song "A Nation of Soul" on the flip showcases trilling keyboards and Greg and Amelia sharing vocals on an anthemic dual chorus. The band will play a handful of East Coast dates in December in support of the single and forthcoming Matinée album "The New Black."